Last year before high, VERY, high school. We'll help "Get it Right" this year with our ECONO pack! -MATHEMATICS PRE-ALGEBRA is always going to be part of every 8th grade package. This course includes two workbooks. 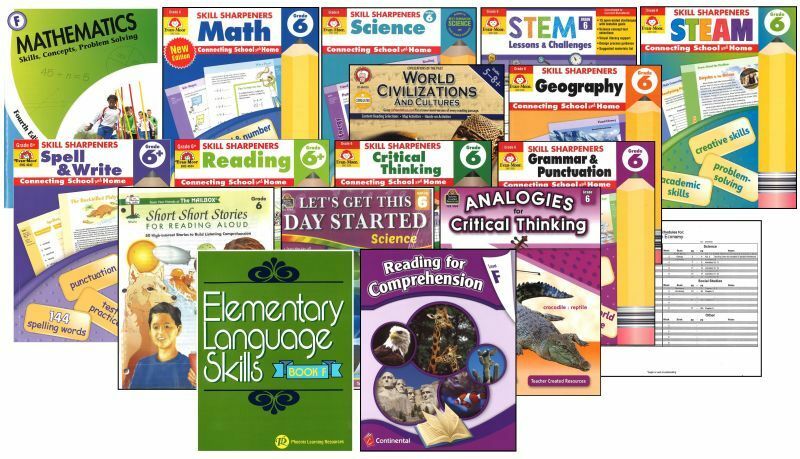 One workbook is a full-color text covering the topic of General Math/Pre-Algebra. The other workbook, is a two-color text corresponding in content but with more word problems and problem solving activities for real-world usage. Your student will be covering all the skills needed at this level according to the N.C.T.M. - The National Teachers of Mathematics group defining what should be taught at each grade level. And, you'll find the answer keys for both workbooks as well. -A Student Workbook with an Answer Key covering PHYSICAL SCIENCE is here for your student. This course covers all necessary, grade level, physics/physical science subject matter. 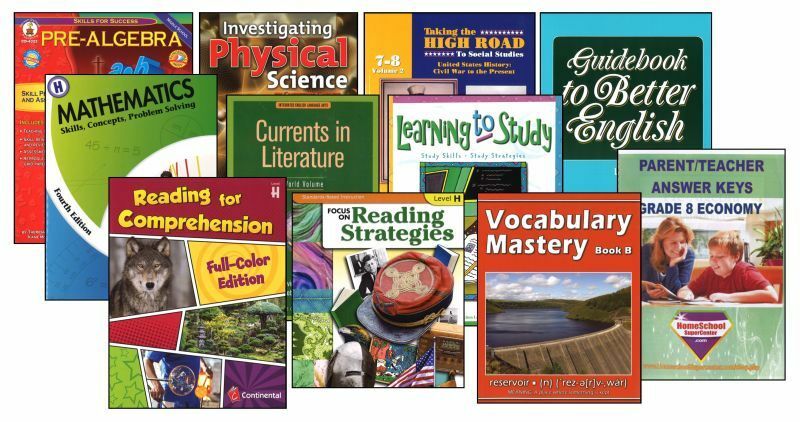 It's an easy to understand course as it is presented in a format that all students embrace - A Write-in workbook course allows for mastery - and, as always - this science course is activity based. The Answer Key is included for the parent/teacher. 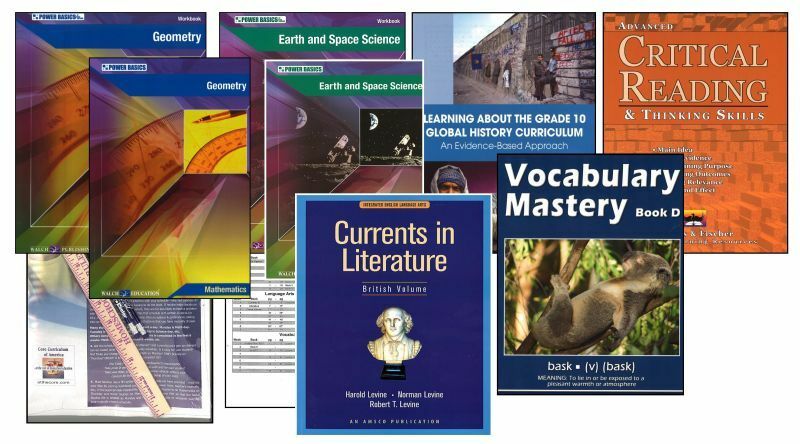 -An ENGLISH GRAMMAR/READING/LITERATURE workbook is part of our Language Arts course inclusion. This workbook course covers all forms of grade-level Grammar, Usage and Mechanics. This course also incorporates a hefty quantity of READING & LITERATURE too! 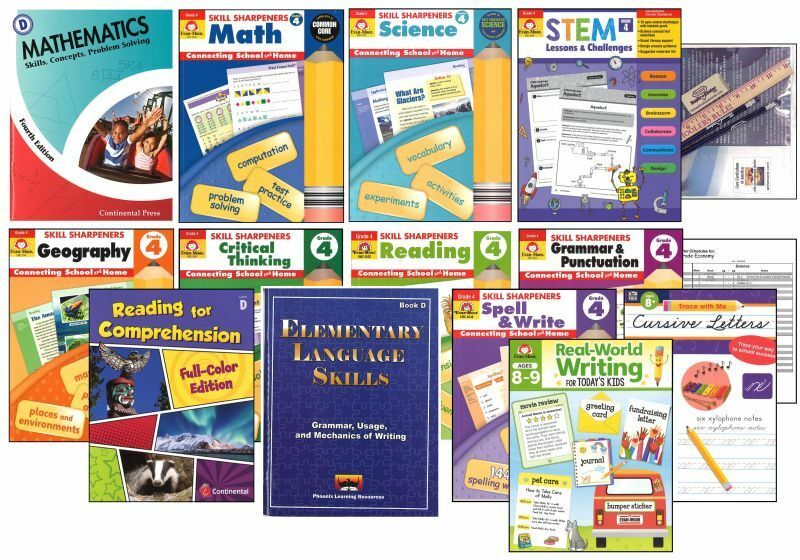 This course utilizes a write-in workbook format - it's an activity workbook with skills improving content - not just literature and reading but also in the sub-topics of spelling and vocabulary, grammar, paragraph structure, writing, test prep and more - all included in the student workbook. As always, an answer key is included. -Because this is the final year before High School, we want all our students to maintain mastery in GRAMMAR. Therefore, although there is some grammar in the Literature/English workbook mentioned above, we're including grade-level Grammar, Usage and Mechanics review in another write-in workbook format. An answer key is bound-into the workbook. 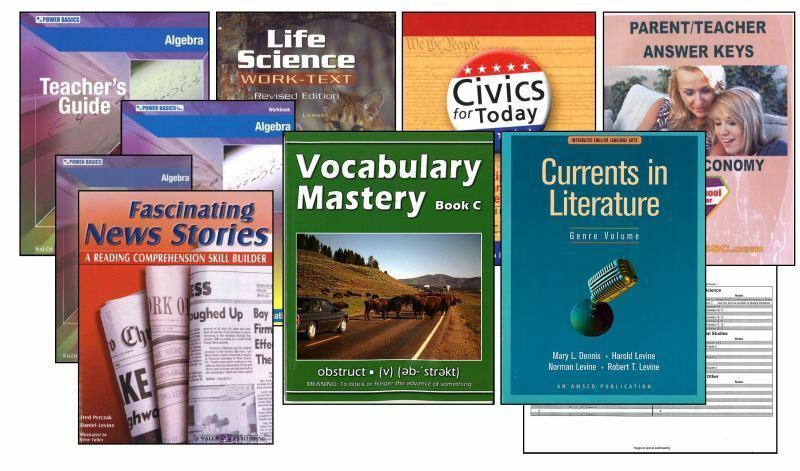 -Also included this year is a full-year VOCABULARY program. 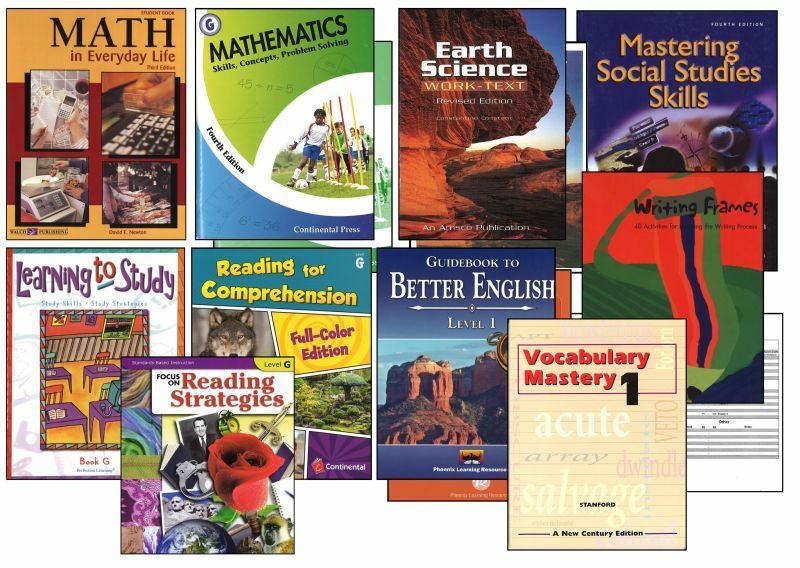 This is a softcover student workbook to assist your student in mastering vocabulary skills, word usage & word application as well as analogies and more! There's an answer key bound-in. -Topping it all off - a full-year WRITING program is provided. The freshman level is where we begin more studies in the art of writing - so! 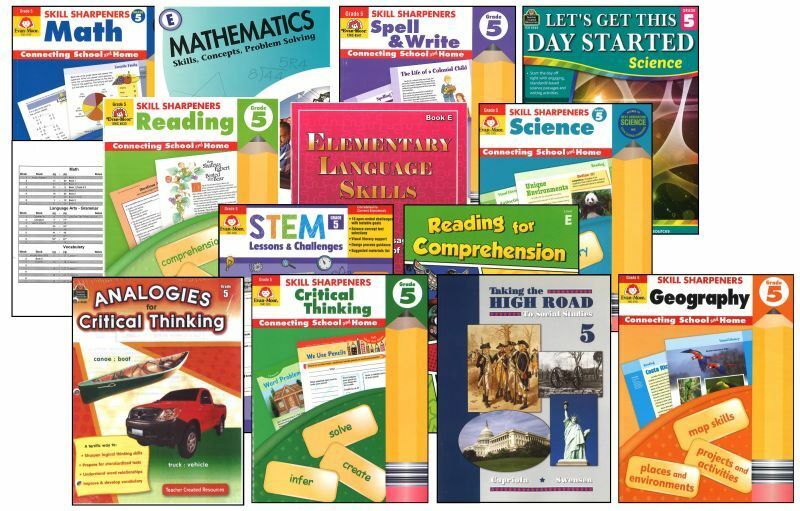 we're including a softcover student workbook to assist your student in his/her writing skills! An answer key is bound into the workbook itself.